«We are thrilled to announce the name of our new polar ship: «National Geographic Endurance», said Sven Lindblad, President and CEO of Lindblad Expeditions, in a keel laying ceremony in Gdynia, Poland, this week. «She is named in honor of Ernest Shackleton, Lindblad Expeditions’ most revered explorer, and will incorporate technical advances and create opportunities for guests beyond the reach of any contemporary ship,» the experienced cruise company leader said. Immediately following the ceremony, Lindblad, along with Chief Expedition Officer Trey Byus, and ship Captain Leif Skog departed to Longyearbyen, Svalbard, to embark on a reconnaissance expedition that will yield discoveries for more exhilarating 2020 early season Arctic adventures for the new ship. The new vessel will be built in Ulsteinvik, Norway, and is scheduled for delivery in the first quarter of 2020, Lindblad Expeditions informs. The company has an option for two additional ships to be delivered in subsequent years. The «National Geographic Endurance» applies the Ulstein’s so-called X-BOW technology, a distinctive bow that provides fuel efficiency and comfortable sailing in rough seas. The new Lindblad vessel is far from the only new ice-class cruise ship in the making. A review made last year by the Barents Observer among major cruise liners shows that 16 new purpose-built expedition vessels for Arctic waters now are in pipe. In March 2017, Sunstone Ships, a major US-based provider of expedition vessels to the cruise and travel industry, entered into agreement with the China Merchant Industry Holdings over the construction of four expedition vessels with options for an additional six vessels. Shortly later, Sunstone announced that it had entered into agreement also with Aurora Expeditions, Australia’s leading polar adventure cruising company, about the delivery of a new vessel of the kind. This week, the China Merchant Industry Holdings started the construction of the first vessel of the kind. It is to be delivered in August 2019, newspaper Kommersant reports with reference to Chinese sources. The ship is likely to be the ship the «Greg Mortimer», Aurora Expeditions’ new vessel built in honour of its company’s founder. The 104-metre expedition cruise ship is built to Polar Class 6 standards, with 80 passenger cabins with private bathrooms and balconies, as well as a restaurant, a space for lectures, a lounge, a 180-degree indoor observation deck, outdoor viewing areas, a gymnasium, sauna and spa, Ulstein informs. In addition to the Lindblad Expedition and Aurora Expeditions, several other companies look towards icy waters. Last year, Poseidon Expeditions’ «Sea Spirit» became the first foreign flagged vessel to offer tours from Longyearbyen to the Russian Arctic archipelago. Next summer, Norwegian company Hurtigruten will have two voyages with their vessel «Spitsbergen» from Tromsø via Murmansk to Franz Josef Land. The Arctic is sailing up to be one of the most popular destinations among well-paying tourists. 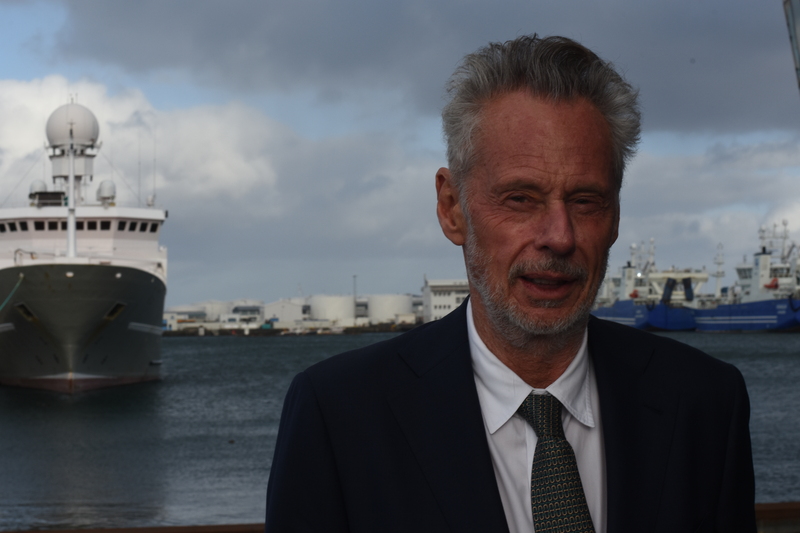 Interviewed by the Barents Observer at Iceland a year ago, CEO of Lindblad Expeditions, Sven-Olof Lindblad said mass tourism will come to the Arctic. «Tourists are coming in a big wave. Companies follow each other,» he said. Lindblad Expeditions was in 1969 the first company to get a purpose-built vessel for cruising the waters of the Arctic and Antarctic.